Class participation: If you don’t attend class, you can’t participate in class activities. Class activities are usually part of your final grade, and they can help you apply concepts you learn from lectures and reading assignments. Class interaction: If you rely on learning on your own (by doing the reading assignments outside of class, for example), you’ll miss out on class discussions with fellow students. Your classmates will often have the same questions as you, so going to class enables you to learn from them and ask your instructor about topics you all find difficult. Interaction with the instructor: There is a reason why classes are taught by instructors. Instructors specialize in the subjects they teach, and they can provide extra insight and perspective on the material you’re studying. Going to class gives you the chance to take notes and ask questions about the lectures. Also, the more you participate, the more your instructors will come to know you and be aware of any help or support you might need. This will make you feel more comfortable to approach them outside of class if you need advice or are struggling with the course material. Increased learning: Even though you will typically spend more time on coursework outside of the classroom, this makes class sessions even more valuable. Typically, in-class time will be devoted to the most challenging or key concepts covered in your textbooks. It’s important to know what these are so you can master them—also they’re likely to show up on exams. Restating what you hear is a powerful strategy for being an active listener, but it’s obviously impractical in a roomful of other students. That’s why taking notes is so important. Think of it as a “silent” way to restate what you’re taking in. Focus on capturing the key ideas and on paraphrasing what you hear (rather than writing things down verbatim). Putting ideas into your own words will deepen your understanding and strengthen your ability to recall the information later. Preparing ahead of time will also make listening more useful and engaging. Do any assigned reading before coming to class, using effective reading strategies discussed elsewhere in this course. Effective listening skills start outside of the classroom with the students coming prepared with questions and comments. Be a team player: Although most students have classmates they prefer to work with, they should be willing to collaborate in different types of groups. Teamwork demonstrates that a student can adapt to and learn in different situations. Share meaningful questions and comments: Some students speak up in class repeatedly if they know that participation is part of their grade. Although there isn’t necessarily anything wrong with this, it’s a good practice to focus on quality vs. quantity. For instance, a quieter student who raises her hand only twice during a discussion but provides thoughtful comments might be more noticeable to an instructor than a student who chimes in with everything that’s said. Be prepared: As with listening, effective participation relies on coming to class prepared. Students should complete all reading assignments beforehand and also review any notes from the previous meeting. This way they can come to class ready to discuss and engage. Be sure to write down any questions or comments you have—this is an especially good strategy for quieter students or those who need practice thinking on their fee. The resource Class Participation: More Than Just Raising Your Hand can help you evaluate what you need to work on in order to participate in class more effectively. Stay organized: Keep your notes and handouts separate for each class. For example, you might have a different notebook and folder for each class, or a large notebook with a different tab for each class. This will save you the time of trying to organize and locate your notes when studying for an exam. Use visual cues: Try highlighting, underlining, or drawing arrows or exclamation points next to any main or difficult concepts. This will call attention to these sections and remind you to spend more time reviewing them. Group together similar concepts: Grouping or “chunking” material is a good way to make studying and memorization easier. You can try drawing the main concept and connecting it to smaller, related concepts or making an outline of the information. Either one can serve as an effective study guide. Make notes legible: Some people have messy handwriting. However, writing as clearly as possible when you take notes will make it easier to review them later. It’s also helpful if you’re asked to share your notes with another student who missed class. If laptop use is permitted during class, you can also type your notes. Take notes during one of your classes. Using the notes you took from class, create a study guide. “Creating Study Guides” from Utah State University’s Academic Success Center has examples of study-guide formats that might be useful. Or, you can develop your own. Write a one-paragraph summary describing your note-taking strategy and explaining why you created the study guide the way you did. Authority style: Instructors with an authority style of teaching prefer to give lectures while standing in front of class, often doing a combination of talking and writing information on the board. Students are expected to listen and take notes. While the authority style may work for active/reflective students who can take notes to review later, it may be difficult for kinesthetic learners. These students could take advantage of their learning style by drawing study guides in their notes and creating and playing review games when they study with friends. Demonstrator style: Instructors with a demonstrator style of teaching prefer to lecture, also, but they prefer to “show” students what they’re explaining, often by using visual aids such as Powerpoint presentations, handouts, and demos. While this teaching style may appeal to visual learners and auditory learners who can simultaneously hear and visualize the information, this approach may not be as appealing to kinesthetic learners. These students might offer to assist instructors during demonstrations, so they can be more active while learning. Facilitator style: Instructors with a facilitator style rely heavily on class discussion, asking students to participate a lot while they provide prompts and guiding questions. While this learning style is effective for auditory learners, visual students may want to create concept maps in their notes, which they can review later, while kinesthetic/tactile learners may want to write their notes on index cards to use for studying outside of class. Delegator style: Instructors with a delegator approach prefer to structure their classes around student-run projects and presentations—their own teaching takes a backseat to students teaching one another. While this learning style may be beneficial for auditory and kinesthetic learners, visual learners may need to take notes throughout the projects and presentations so that they have study guides they can visualize. Hybrid style: Instructors with a hybrid teaching style use a combination of the learning styles above. For example, during an hourlong class session, they might schedule twenty minutes for a lecture, twenty minutes for class discussion, and twenty minutes for a class activity. While this teaching style can potentially appeal to all learning styles, some students may have trouble adjusting to the shifts in format or activities. 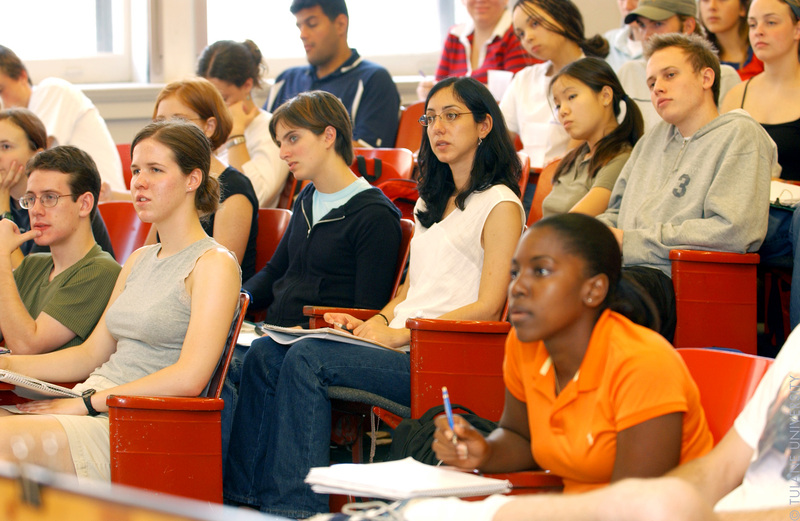 Still, such classes—especially the group activities—provide opportunities for different learning styles: Visual learners might take notes or record everyone’s ideas, auditory learners could facilitate their group’s conversation, and the kinesthetic/tactile learners could be responsible for creating any props or presentations to share the group work with the rest of the class. What type of teaching style do you think this instructor has? If You Need to Miss a Class . . .
Plan in advance: Although nobody can plan to be sick, students should give their instructors advanced notice if they know they will need to miss class for something like a doctor’s appointment. This is not only respectful to the instructor, but he or she may be able to give you any handouts or assignments that you might otherwise miss. If you anticipate that class will be canceled on account of bad weather, etc., make sure you have all the materials, notes, etc. that you need to work at home. In college, “snow days” are rarely “free days”—i.e., expect that you will be responsible for all the work due on those days when school reopens. Talk to fellow students: Ask to borrow class notes from one or two classmates who are reliable note takers. Be sure to also ask them about any announcements or assignments the instructor made during the class you missed. Do the reading assignment(s) and any other homework. Take notes on any readings to be discussed in the class you missed. If you have questions on the reading or homework, seek help from your classmates. Completing the homework and coming prepared for the next session will demonstrate to your instructor that you are still dedicated to the class. If you have to miss a class, find a trustworthy, responsible classmate who will lend you their notes.